Croy station is on the list. 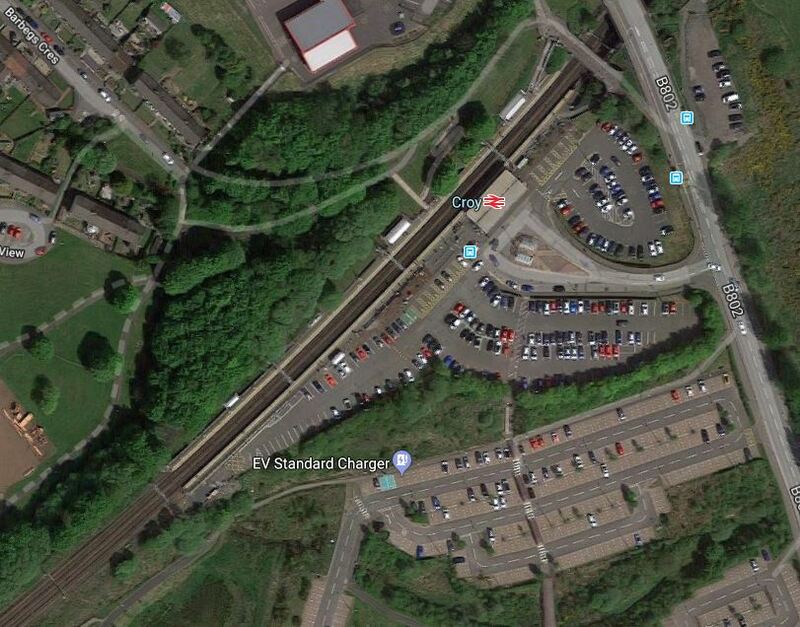 Note how the car parking is on the Glasgow-bound side of the tracks. So after a hard day’s work, shopping, watching football or just at leisure in Glasgow, to get back to your car at Croy station, you will need to climb up and down steep steps. The station desperately needs a well designed bridge to give passengers and especially the less able to get back to the car parking. This Google Map shows an enlarged view of the platforms in the Glasgow direction. 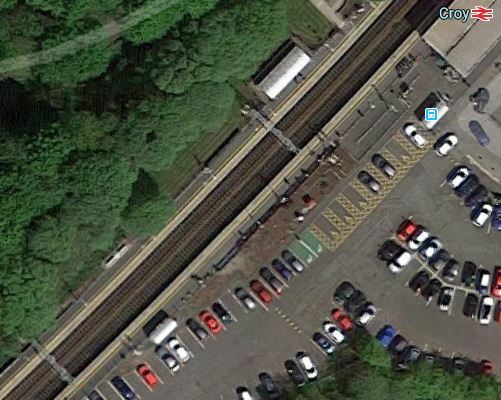 Note how the disabled parking spaces are close to the station building and the Glasgow-bound platform. 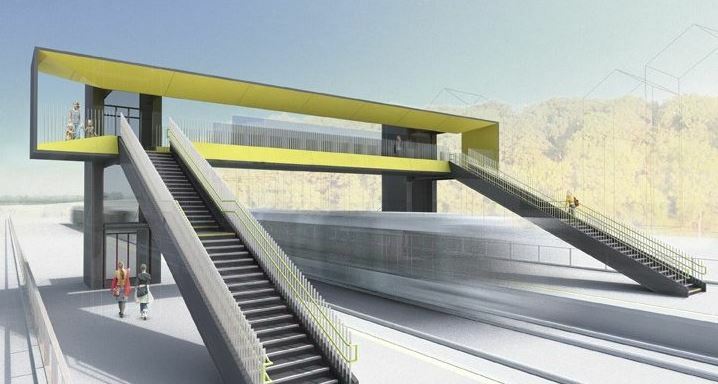 Could a factory-built bridge like this be used at Croy station? Looking at the Google Map, it might even be possible to fit the bridge between the two overhead gantries for the electrification, which are visible! It appears to me, that Network Rail’s competition has come up with an adaptable and very practical design.